On November 20, 2016 Olympic gold medalist Scott Hamilton & Friends hosted a unique figure skating live concert featuring an all-star sports and musical lineup. An Evening with Scott Hamilton & Friends was a fund raiser for the Scott Hamilton CARES Foundation that exists to educate and empower cancer survivors, their families and oncologists with cutting edge research, options and wellness programs. 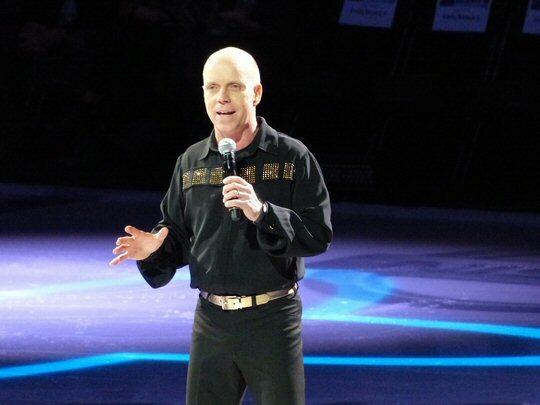 An Evening with Scott Hamilton & Friends hit the ice in Nashville for the first time. Scott Hamilton is a cancer survivor. Through his CARES foundation he is funding early detection programs, immunotherapy and proton therapy in the fight to significantly improve cure rates and quality of life. 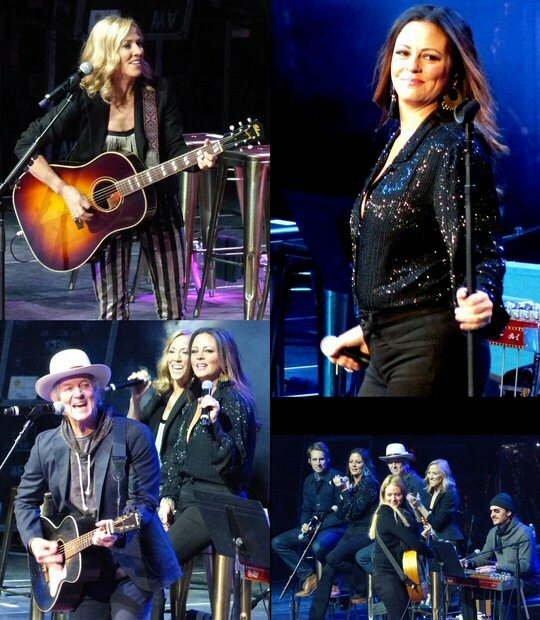 The distinctive event in Nashville, Tennessee showcased a dozen Olympic, World, and National Champion Figure Skaters performing to a live musical concert by nine time Grammy winner Sheryl Crow with a cast of musicians joining her on stage. All proceeds benefited the Scott Hamilton CARES Foundation. November and December are traditionally the months for thanksgiving and gift giving. The show was about being thankful for life but for also giving to this worthy cause. Musicians and skaters gave of their time to be a part of this event and fans were treated to an engaging night of entertainment knowing their admission was supporting cancer research. Scott who was in charge of the sports portion of the show skated out to welcome everyone to his home town. Sheryl Crow also a cancer survivor was the musical director. She opened with “Every Day is a Winding Road” as the cast of skaters took to the ice adding momentum to the up-tempo tune. Throughout the night music was paired with the graceful movement of figure skating. Rodney Crowell multi-Grammy winner singer and songwriter performed a number of his hits including “Say You Love Me” along with a moving “Still Learning How To Fly” and “Making Memories of Us” that he sang with Jewel. Jewel who was in good voice despite a head cold soared on her classic “Who Will Save Your Soul”. Sara Evans and Ben Rector were also golden on Sunday night. In fact Ben’s “Beautiful” was one of many musical highpoints in the night. Skater Jeremy Abbott started off as an old man with a cane before straightening up to skate back beautifully in time to embrace a riveting youthful romance. Jeremy did a flip before holding his lower back returning to his former elderly form. There was a stellar musical line-up put together by Sheryl Crow. In addition to A-list artists An Evening with Scott Hamilton & Friends featured top-level athletes such as Katia Gordeeva (2-Tme Olympic Champion), Merly Davis & Charlie White (Olympic Champions), Javier Fernandez (2-Time World Champion) and more. All the figure skaters added flair to their interpretations of the music while incorporating the signature skill sets of their sport, yet they appeared to be having fun, too. Four of The Girls sported sun glasses for a spirited skate during Sheryl’s “All I Wanna Do”. Jewel and Sara Evans joined Crow for “Strong Enough” during which skater Sinead Kerr-Marshall proved she was strong enough to lift her partner John Kerr during their animated act. In closing Scott thanked everyone and said he would see us next year. An Evening with Scott Hamilton & Friends was an incredible pairing of first class figure skaters and musicians creating an engaging event all for a good cause. Immediately following the Ice Show was the After Show Celebration at the Music City Center. This “Nashville Chic” attire event was hosted by Comedian Henry Cho and Scott Hamilton included, dinner, dessert stations, live entertainment, a photo booth, a silent auction, and a live painting by Nashville Artist Rob Hendon. Said Hamilton in advance of the event “we’re coming home! After almost two decades of the biggest names from music and figure skating coming together to raise money for CARES, we’re finally bringing everyone to Nashville for an unbelievable evening of great music, skating performances and entertainment – all while raising money to fight cancer and celebrate survivorship.” An Evening with Scott Hamilton & Friends has been held in Cleveland, OH for 16 years and in Knoxville, TN for the past two years. The Bridgestone Arena in the heart of Downtown Nashville is home ice for the Predators. It also hosts a wide array of events such as An Evening with Scott Hamilton & Friends. Coming soon to the Bridgestone Arena is the Charlie Daniels Band, Joel Osteen, R. Kelly, Ringling Brothers Circus, Kelly Clarkson and more. 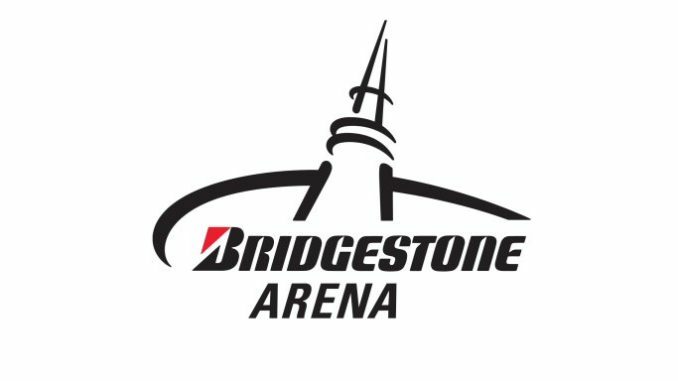 Tickets to a Bridgestone event or a donations to the Scott Hamilton CARES Foundation make a great gift. The world class skating was a sight to behold.